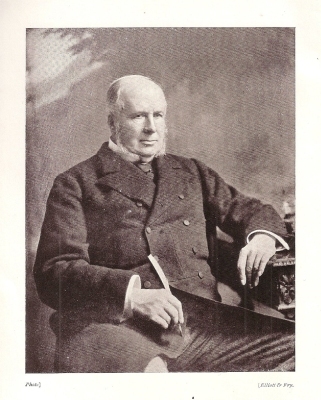 Sir Alexander John Arbuthnot was born on 11 October 1822 at Killaloe, County Clare, IrelandG.2 He was the son of Rt. Rev. Alexander Arbuthnot.3 He married Frederica Eliza Fearon.2 He married Constance Angelena Milman, daughter of Sir William Milman, 3rd Bt. and Matilda Frances Pretyman, on 6 June 1899.1 He died on 10 June 1907 at age 84. From November 1898, her married name became Milman. From 8 September 1934, her married name became Milman.